Chasyu, scallion, onion, cabbage, bean sprouts and seasoned soft boiled egg. Seasoned tofu, scallion, mushroom, onion and cabbage. Seasoned tofu, cilantro, cashew and rayu. Chasyu, seasoned soft boiled egg, sauteed mushroom, seaweed and scallion. There’s still more delicious dishes to discover. LOVE THEIR RAMEN!!! Vegan, Pork, doesnt matter, its all great! The eggs are always cooked to perfection! The food was fresh and delicious. The delivery was prompt. Will be ordering from Setagaya over and over! Phenomenal! Even delivery was fast ... added to my favorites. Will be back often. great ramen. I would definitely order from them again! I live down the block so I pick up my food. I've been around the neighborhood for a while and never knew there was a ramen spot. Probably could have used Google to figure that one out, but meh. Anyways the ramen was delicious. I ordered the spicy miso ramen with extra pork and sauted mushrooms. Excellent, but not very spicy. I also have a high tolerance so this is just a nice little kick for me. I live and work in this neighborhood and have such a hard time finding solid delivery that tastes really good. This place was killer! I ordered the vegan spicy miso ramen and it was so good. Unlike most veg ramen, this had depth, consistency, flavor. On top of it all, they gave me two scoops of ice cream just because. Highly recommended. I hope they maintain the quality and delivery efficiency. Ordered on a Friday night. Fast delivery. Food arrived hot and well packed. They separate the Broth from the veggies and noodles so it keeps it fresh. Veggie spicy miso was great and pork buns and squeed dumplings were also delicious! Great to have this place opened right before winter! Well needed! Love this place. Always order the vegan ramen, Tantanmen. But they almost ALWAYS forget to put the hot oil in the bag which is PARAMOUNT to the flavor profile. Now I make sure that it's in the bag... and I don't leave until I know it's there. Other than that, love love love the food here! Not only do I love the veggie ramen here, but the service is great too. Last time I ordered, I accidentally ordered as a "pick up." When I called the restaurant, they were SO nice about it and sent my food out for delivery. 10 minutes later it arrived and still hot! Our Ramen, Natural premium ramen, is made from the best ingredients from Japan (90% of all ingredients imported) and is 100% natural ramen with NO MSG. For our Shio Ramen, we use one of the best salts in the world, Khanh Hoa Salt, which is a natural mineral-rich sea salt. For the Sho-yu Ramen, we use the best soy sauce fit for the imperial family. We work very hard to bring you the best Ramen in New York. With all of the effort we put into bringing the customers a first class taste, its easy to see why New York Magazine chose our ramen as the best ramen in New York. Online ordering for delivery or takeout! 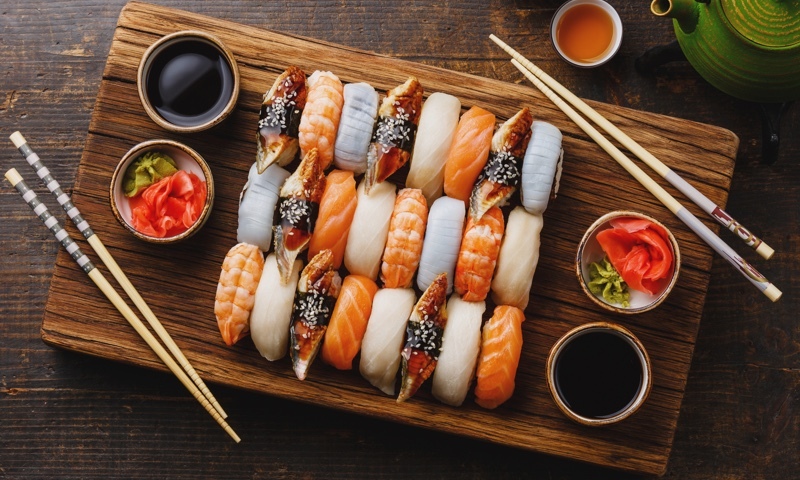 Whether you're craving a quick bite or looking to treat yourself to a delicious meal, you can now order your Setagaya Brooklyn favorites for takeout or delivery.